Pai’s remarks were circulated ahead of the release of an inspector general report examining claims by senior FCC officials that the comment system was overwhelmed on the night of May 7, 2017, by “multiple distributed denial-of-service attacks (DDoS).” The comment system suffered intermittent downtime that night after John Oliver, host of HBO’s Last Week Tonight, directed his audience to flood the FCC with comments supporting net neutrality. The FCC’s claim that a DDoS attack was responsible for the downtime was immediately disputed by pro-net neutrality groups. The agency has long refused to supply lawmakers with evidence showing an attack occurred. In July 2017, the agency told Gizmodo it had no documented analysis showing an attack occurred in response to a Freedom of Information Act request. As Gizmodo first reported last year, Bray had previously leaked baseless claims that the FCC was struck by a cyberattack in 2014. He was also the first official at the agency to publicly claim the comment system had been attacked last May. 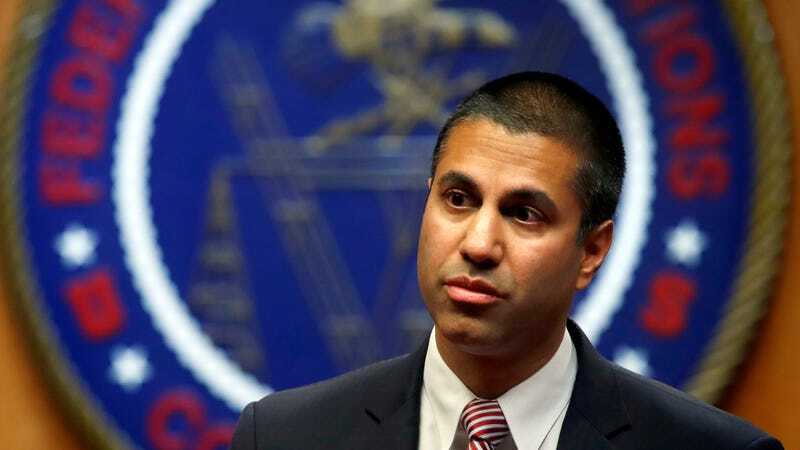 While the inspector general report is not yet public, statements from Pai and other FCC officials indicate it will reflect that no evidence was found supporting the commission’s prior claims that it was attacked. “The Inspector General Report tells us what we knew all along: the FCC’s claim that it was the victim of a DDoS attack during the net neutrality proceeding is bogus,” said FCC Commissioner Jessica Rosenworcel. Scrambling to divert blame away from his office, Pai also fingered as responsible Obama leftovers whom he suggested were culpable for failing to inform him that they disagreed with Bray’s claims. Bray did not immediately respond to a request for comment. Update, 8/7: A statement issued on Dr. David Bray’s behalf by a friend said that Bray had not been contacted by the FCC Office of the Inspector General and had not seen its reported findings. Correction: A previous version of this article said that a statement had been issued on behalf of Dr. David Bray by The People-Centered Internet coalition, where Bray now serves as executive director. The statement was issued by a friend. We regret the error.